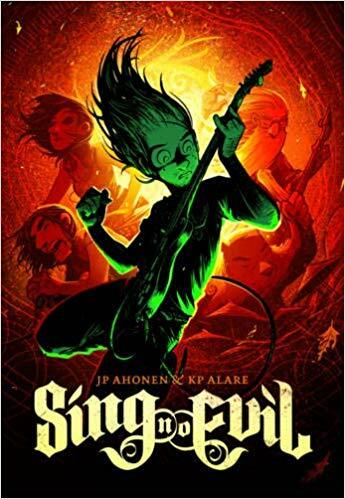 Sing No Evil by JP Ahonen & KP Alare. Translated from Finnish by JP Ahonen. Abrams ComicArts, 2014. 9781419713590. 181pp. Aksel is the singer and lead guitarist for the avant-garde metal band Perkeros. After a terrible review of his singing and a decent review of the band’s music, Lily (keyboards) brings in Aydin, who she found working at Kebab Muftak. His voice is magical. As the band practices with its new member, Aksel touches the reality bending Universal Melody. The older dude in the band, Kervinin (bass) warns him about trying to control it. Lily comes to the conclusion that Aksel is holding the band back. Bear (drums) growls a lot and shows his teeth. (Yeah, a bear plays drums.) 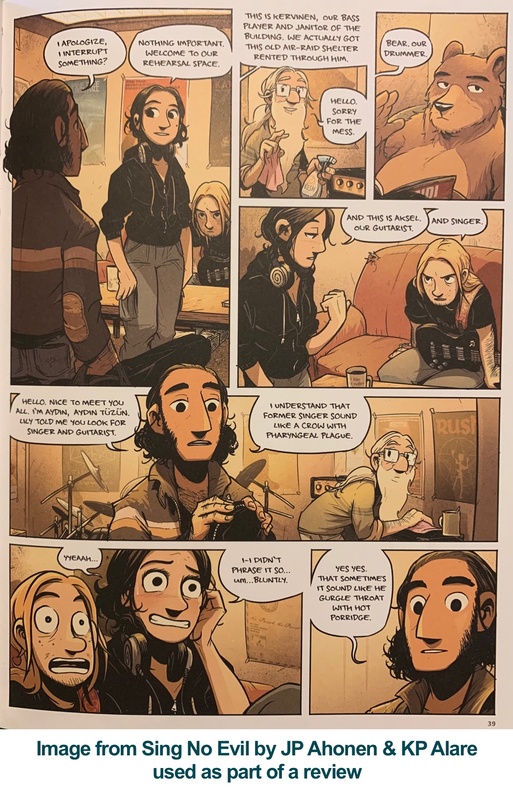 As Aksel tries to again find the magic he touched, it becomes clear that other musicians are already its power for evil, and that Lily is in danger. The musical sequences are kinetic and richly colored. The writing and the rest of the art is superb too. The two creators are friends who met in elementary school in Finland, and their long friendship and experience with music really comes through. 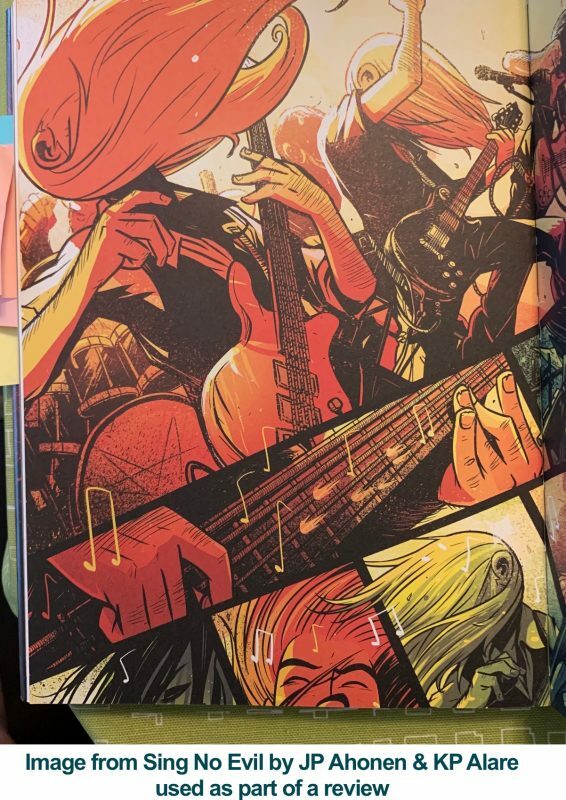 Other graphic novels that feature music: The Complete Phonogram by Kieron Gillen and Jamie Mckelvie (music as magic), and Zviane’s For As Long As It Rains (amazing visual representations of music).